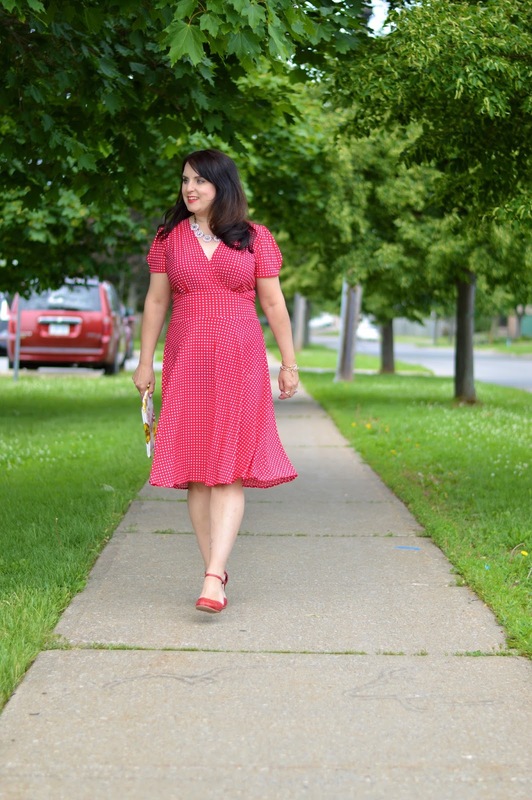 Monday Musings- Going Retro with Karina Dresses + Giveaway! We teachers finally made it to the last school week of the year, as sad as it is to say goodbye to this amazing class of students, I know I will still have my lovely junior kindergarten children again next school year. So let's start the last school week of the year off with a HUGE GIVEAWAY!! I am teaming up with Karina Dresses again to offer you the chance to be a frockstar! Karina Dresses offers figure flattering dress styles that suit all sizes and shapes. I love a dress with sleeves so the style I am showing you today is the Megan in red and white polka dots. I love the retro feel of this dress, the material is so lightweight and easy to wear. Karina offers so many colours and prints that I know you will find the perfect dress for you. Now onto the amazing news, Karina Dresses wants three of you lucky readers to win a dress of your own and you get to choose the style you would like. Click through the post to enter using the Rafflecopter widget!